At 5.41pm, 4 August, a powerful explosion was heard near the rostrum from which Venezuelan president Nicolás Maduro was addressing a parade at Bolivar Avenue in Caracas to mark the 81st anniversary of the Bolivarian National Guard. President Maduro was unharmed, but seven members of the National Guard were injured. In a televised address, the Venezuelan president accused outgoing Colombian President Juan Manuel Santos of being behind the attempt on his life. 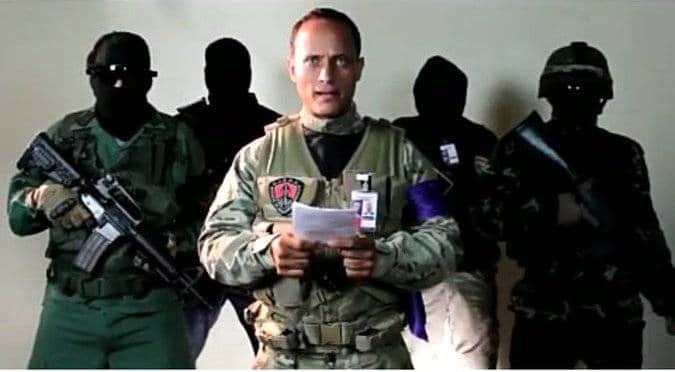 Far-right Venezuelan oppositionist, Patricia Poleo (based in Miami), later issued a statement from Soldados de Franelas (“Soldiers in T-Shirts”): a right-wing terrorist group made up of civilians and military personnel, which claimed responsibility for the attack. While some of the details of what happened are still unclear, it seems that there were two drones carrying C4 explosives and the target was the presidential rostrum of the parade. The drones have been identified from video footage and they seem to be high-end, professional six-rotor DJM600s, capable of carrying a load of seven pounds. One exploded in the air, probably shot down by the president’s security detail, while the other veered off and crashed into a nearby residential building. This second explosion led to some international press agencies giving credence to the idea that the detonation had come from a gas cylinder in a building rather than an attack on Maduro. Despite the international bourgeois media ceaselessly arguing for the military overthrow of the Venezuelan president, when a terrorist attack took place with that exact aim, they tried to deny it ever took place. Even now, most headlines try to sow doubts about whether the attack was real or not. “Alleged Maduro assassination attempt” says CNN, “Apparent drone attack on Maduro” reads the Washington Post, while El País ran the scandalous take: “Maduro uses ‘attack’ to reinforce attack on political opponents”. The reaction of the U.S. government was in the same vein. They did not even go through the motions of issuing a condemnation of the attack, instead limiting themselves to saying that “there was no U.S. government involvement” and then proceeding to hint that the attack could have been engineered by the Venezuelan government itself! The problem for the world’s capitalist media is that admitting a terrorist organisation has carried an attack on Maduro would destroy the whole basis of their stories about a peaceful, democratic opposition. This is the characterisation they have been peddling about the 2014 and 2017 guarimbas, consisting of violent rioting and terrorist activities by the opposition. In fact, it is highly likely that the perpetrators of this attack were linked to the participants in those events. The Venezuelan authorities announced that six people had been arrested in connection with the attempt on the president’s life. 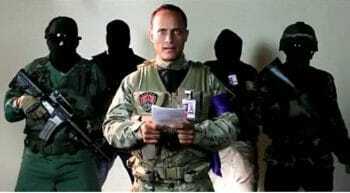 The group claiming responsibility seems to have some links both with people involved in far-right terrorism during the guarimbas and the (deceased) police officer Oscar Perez who captured a police helicopter and carried out an attack in Caracas last year. More details will surely become known in the coming days. One thing is clear: ever since the beginning of the Bolivarian Revolution 20 years ago there have been constant attempts by reactionary elements within the armed forces to overthrow the democratically elected government and crush the revolutionary movement by force of arms. The reactionary and parasitical Venezuelan oligarchy never accepted that they no longer held direct control over the government. We are talking not only of the short-lived coup in April 2002 (defeated by the decisive action of the masses), but also the Altamira Square military officers’ pronouncement in December that same year; the attempt to use Colombian paramilitaries to kill Hugo Chavez in 2004; and dozens of other lesser-known plots. All of these intrigues–and there have been many–share one thing in common: they enjoyed the support and backing in one degree or another of U.S. imperialism and its lackeys in the Colombian oligarchy. This attack takes place after recent reliable media reports indicated that U.S. President Donald Trump openly discussed organising a military invasion of the country last year. 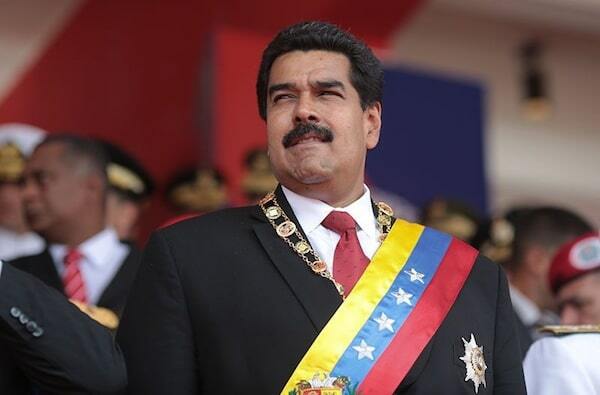 As well as these reports, Bloomberg reported on a military coup plot that was foiled last year, one variant of which involved assassinating president Maduro during a military parade. Bloomberg reported these coup plots were being discussed with the full knowledge and tacit approval of Colombian and U.S. security services. The way this particular assassination attempt was conducted implies it was the action of a small terrorist group rather than a worked-out conspiracy by foreign secret services. However, the danger should not be underestimated. These terrorist groups clearly have access to funding, explosives and have connections within the army and the police forces, as was shown in the case of Oscar Perez. 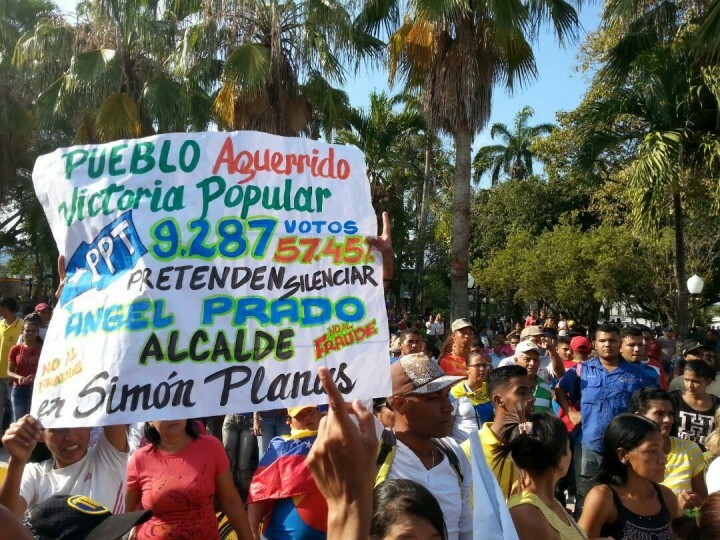 On top of this, there is a section of the reactionary Venezuelan opposition that does not hide its support for such methods, whether they be military coups or terrorist attacks against the head of state. Of course, most of these terrorist cells and groups of scheming army officers are known to the U.S. intelligence services, many of them having close links to the Miami mafia of Cuban exiles, which exerts an enormous amount of influence on the Republican Party. 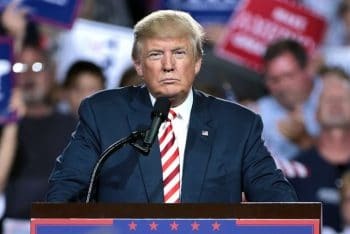 At the present time, Washington will probably seek to achieve its aims through a combination of economic sanctions, which it hopes will eventually lead a section of the army to organise a coup. However, this does not mean it would step in to prevent someone murdering Maduro, and you can be almost certain that the U.S. had prior knowledge of this latest attack. The Venezuelan Revolution is facing many difficulties. We have been and still are extremely critical of the policies of the Maduro government, which in our opinion are disastrous and preparing the way for the oligarchy’s return to power. Even in the last few days, Maduro has made a number of announcements in terms of economic policy that constitute further concessions to the capitalists. But let us be absolutely clear on one point: the victory of a military coup would mean the end of the Bolivarian Revolution, a brutal austerity package to make working people pay the full price of the economic crisis and the destruction of what is left of the conquests of the revolution. This would be enforced by a generalised clampdown on democratic rights, with the aim of destroying the organisations of Venezuelan workers, peasants and the poor, crushing any potential resistance. No revolutionary activist anywhere in the world can support this, and for that reason we condemn the attack carried out on 4 August against Maduro. The attempted killing of Maduro, however, also reveals a number of interesting points about the current situation in Venezuela. First of all, amongst those arrested in relation to the attack, some are linked to the August 2017 attack on the Paramacay barracks in Valencia, which was carried out by acting personnel of the armed forces and the Bolivarian National Guard. The fact that 20 years later there are still so many reactionary army officers is a clear sign that the state apparatus, though weakened and partially wrested from the control of the ruling class, is still a bourgeois state apparatus. This is something President Hugo Chavez explained clearly in his last speeches, when he insisted that the “bourgeois state apparatus must be pulverised”. The idea that somehow the army in Venezuela is qualitatively different than in other Latin American countries or that, as a whole, it is loyal to the Bolivarian Revolution, is false. Of course, the Venezuelan army came under the influence of the revolution. However, this has not fundamentally changed its structures or chain of command. As such, the army has not really undergone a qualitative transformation. The further down you go, amongst rank-and-file soldiers and NCOs, you will find a deeper reservoir of support for the Bolivarian Revolution. The further up you go, the higher the number of officers whose ‘loyalty’ has been bought by perks, corruption and privileges derived from their positions in the state bureaucracy. Secondly, according to official sources, some of those arrested had been jailed for their part in terrorist activities during the 2014 opposition riots and were only recently released as part of the measures taken by Maduro after the 20 May presidential election in an attempt to appease the opposition. 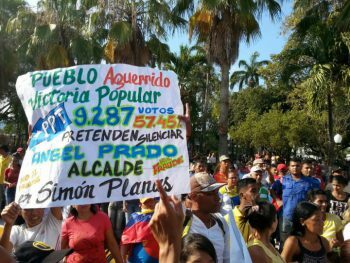 These measures caused uproar amongst the chavista rank-and-file as none of those released had repented or apologised for their actions, which had caused loss of life. Now they have continued with their terrorist activities. This is a pattern that has repeated itself in Venezuela since 2002. The leniency and appeals for “national reconciliation” are always responded to by the reactionary opposition with renewed coup plotting and more terrorism. Nothing has been learned. The reason for the continued intrigues of the opposition is to be found in their profoundly reactionary character and how frightened they are of the Bolivarian Revolution. The workers and poor got the idea that they were in power, that they could rule. This idea must be stamped out before the ruling class can feel safe and firmly in the saddle again. The only way the government can reconcile itself with the opposition is to carry out this task. Anything short of that, and the plots will continue. Furthermore, if the situation of economic collapse continues and deepens (and so far it shows no signs of abating), it will lead to more widespread protests and generalised collapse in infrastructure. This in itself will be a factor pushing sections of the army officers in the direction of a coup, as they realise their own privileges are no longer safe under the status quo. A coup could be waged, even by some who identify as ‘Bolivarian loyalists’, under the guise of needing “a strong hand at the helm to deal with the economy”, passing power to a “technocratic government” to deal with the crisis. There is, of course, a way to deal with this situation once and for all, or at least a way that would weaken the coup plotters and reactionaries. The revolution must be completed, with the expropriation of the capitalists, bankers and landowners, in order to bring about a democratically planned economy under workers’ control. That must be accompanied by the abolition of the old capitalist state (which still remains, though weakened) and its replacement by workers’ power, in the form of workers’ committees, workers’ and peasants’ self-defence organisations and the Bolivarian militia. These should be transformed from an auxiliary force, subordinate to the main body of the armed forces, to the backbone of a revolutionary army. Maduro’s government has repeatedly shown that its policy is precisely the opposite of these measures. For that reason, it is necessary to build a revolutionary alternative that is firmly rooted in the left wing of the chavista rank-and-file, based on a clear, revolutionary, socialist programme of abolishing capitalism. This should be accompanied with an appeal to the workers and poor in Latin America and the whole world to follow by example. Jorge Martín is the secretary of “Hands Off Venezuela”, a campaign in solidarity with the Bolivarian Revolution and in opposition to imperialist intervention in Venezuela. He is also a member of the International Marxist Tendency and writes regularly on “In Defence of Marxism”. He can be followed on Facebook and Twitter.